Mark Dean’s work is created by the appropriation of material from the fabric of popular culture. Song samples, filmic images and snippets of text are manipulated, remixed and woven together to create new forms of visual and aural expression. Dean’s work, although it excavates common culture, is far from referential; its expressive means are independent and distinct from the original source material. Reviewing Dean’s work in Art Monthly, the critic Ian Hunt has described how Dean’s juxtapositions and mergings of image and sound create a “crafted opening to cathartic possibility and to the unconscious”. Masochistic Opposite is an audio-visual installation consisting of two separate films projected simultaneously onto the walls at opposite ends of the gallery. Both films are of rock musicians who are shown playing along live to manipulated versions of songs they themselves recorded more than 20 years ago. Masochistic Opposite (Intro) features JP Woodgate playing bass to the introduction of her eponymously titled debut single from 1979, which has been slowed from 20 seconds to 8 minutes. 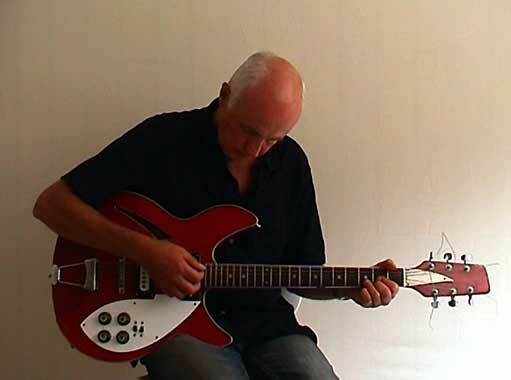 Justice Not Vengeance (Outro) features Peter Scammell repeatedly playing the final chord of his first single, released in 1980, to accompany the same chord which has been looped in a Fibonacci sequence for one hour. The images of the two musicians – one facing us, one with her elaborately-tattooed back turned – create a dialogue across the length of the gallery. Their orientation suggests the possibility, however enigmatic, of a shared dynamic or trajectory – or even, translated into the realm of intentionality, a shared purpose. The two soundtracks fuse in the gallery space, creating a new whole from disparate parts. Dean’s manipulations of old songs, and their creators’ attempts to remake their performances to fit, allude perhaps to the changes wrought on us by time and circumstance. Mark Dean was born in 1958 and studied at Brighton Polytechnic and Goldsmiths College. He had his first solo exhibition at City Racing in London in 1996. Since then he has been featured in numerous solo and group exhibitions throughout the UK and Europe, including solo exhibitions at the Imperial War Museum (1998), Laurent Delaye Gallery, London (1999), IKON Gallery, Birmingham (2001), Volker Diehl Gallery, Berlin (2002), Sketch, London (2004) and Beaconsfield, London (2005). He has also been featured in a number of international touring exhibitions including Black Box Recorder (organised by the British Council, commencing Museum Ludwig, Cologne), and Game On, (organised by the Barbican Gallery, including a specially commissioned work by the artist). The Arts Council of England; Leeds City Art Gallery; and Musee d’Art Moderne Grand-duc Jean, Luxembourg have collected his work. Most recently, Mark Dean’s work has been featured in Eldorado, the inaugural exhibition of MUDAM, Luxembourg, and Dance on Screen, The Place, London.